Tomlinson & O’Neil Insurance Agency has joined the Trusted Choice® brand movement, a national consumer brand that educates consumers about the benefits of using independent insurance agencies and brokerage firms for their insurance and financial services needs, announces Christopher J. O’Neil, Vice President. Trusted Choice® agencies offer consumers a broad selection of insurance policies and financial services products, customized insurance coverages as well as advocacy support. Tomlinson & O’Neil Insurance and more than 7,200 other Trusted Choice® firms nationwide are committed to providing excellent customer service. Today more than 7,200 independent insurance agencies and brokerage firms throughout the United States are participating in the brand program as are 41 leading insurance companies. 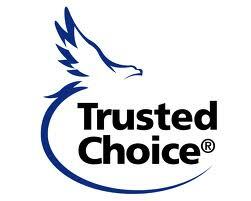 Trusted Choice® agencies are the smart way to buy insurance and financial services. These agencies represent multiple insurance companies, so they offer a variety of coverage choices and can customize an insurance plan to meet specialized needs. Tomlinson & O’Neil Insurance Agency is a local Trusted Choice® agency that represents multiple insurance companies, so it offers you a variety of personal and business coverage choices and can customize an insurance plan to meet your specialized needs. You can visit Tomlinson & O’Neil Insurance online at WWW.TOINSURANCE.COM or call 508-994-5678.